Is there something call creating the miracles for others. I was inspire to share this today Being the Miracles for others. Since I’ve been in transition, I have been trying to figure out how to be more a purposeful in business. 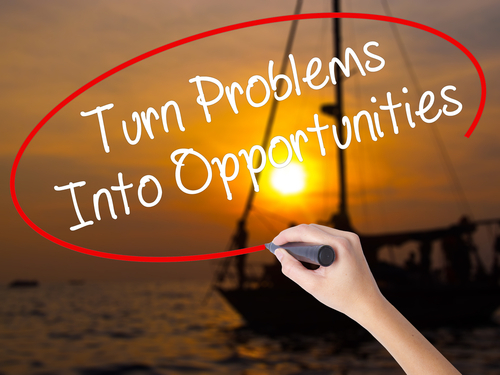 Turn the Problem into Opportunities to create the miracles for others. I was coaching someone through a situation, and ask how long will it take to get a task done. He started to talk about how long it takes to get a task done and spoken more about daily goals in completing task and it came out. I said “we just do not want to meet goals but we want to create miracles for others“. What an ahh moment. I do not have a problem with goals.. Yes, I set goals in my life, family, business, relationships etc. In working in a business of service if I get it done for the client effortlessly of what could not be done before. Am I still achieving the result or do I go over and beyond to get the result to create the miracle. I definitely, see the miracles for others. When we create miracles for others. We are able to open the door of abundance to have miracles to be created for us. I also have realize that we can measure a miracle because it’s a miracle. Miracles can not be explain of how it happen, when it happen and why it happen. The miracle just happen. I want to be the miracles for others in small business development and transformational coaching. I am also going to be the miracle for others in my family and my who cross my path in my journey call life. Understanding the Being of miracles, more than that, knowing something is very different from being something. When we are being miracles for others; we are creating a greater possibility.